Billy and Barnes at Anfield - LFChistory - Stats galore for Liverpool FC! 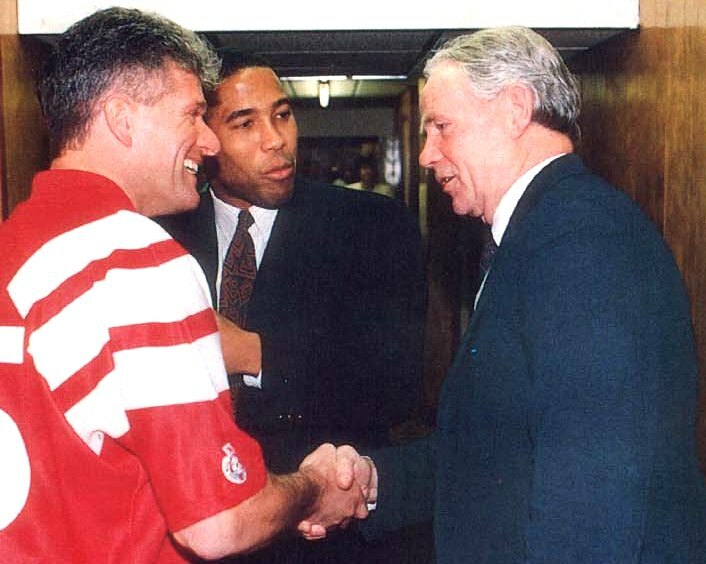 It was a momentous occasion when Billy Liddell, rated by many older supporters as the very best player in the history of Liverpool, met the club's talisman, John Barnes, in the early 90's, at Anfield. "John is a great winger, but his style is a lot different to mine in my day," Liddell told Liverpool's match programme from which these legendary images are. "I was a natural right-footer playing on the left wing and always had a good view of the goal when I cut inside. John is a natural left-sided player and very clever with it." Both were Liverpool's key player at the height of their powers. Billy Liddell featured on the left wing until Liverpool were relegated in 1954 and Alan A'Court took over the left-wing position. Liddell was moved up front and scored 121 goals in 189 second division games in the following five seasons. Barnes was in mesmerising form as Liverpool annihilated the First Division in 1987/88 and played up front with Ian Rush when he won his second championship in the 1989/90 season. Barnes contributed 28 goals in 45 games when Liverpool won their eighteenth title and was second-highest scorer in the League with 22 goals, two behind Gary Lineker. In 1992 Barnes was transformed into a central midfielder following a serious hamstring injury. 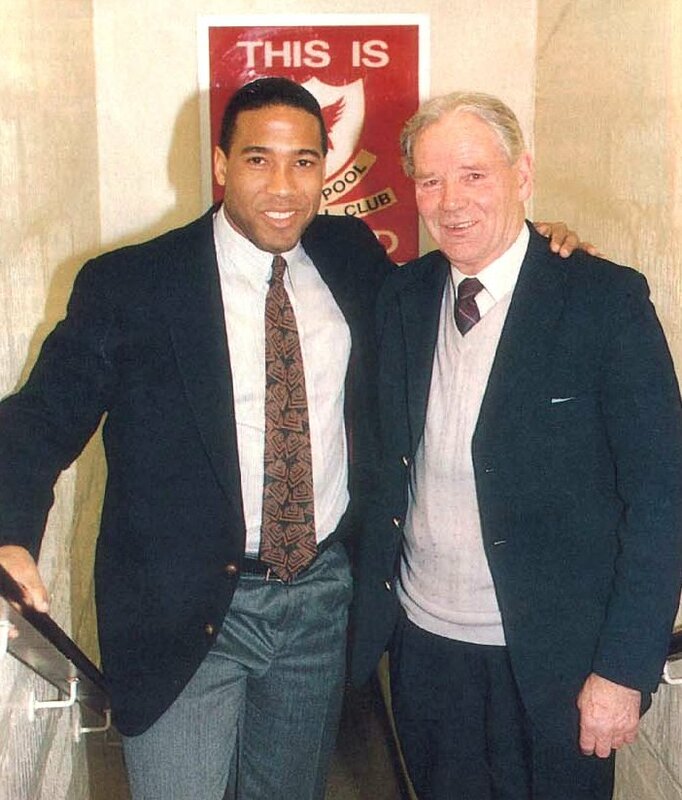 Billy Liddell and John Barnes played a total of 941 games and scored 336 goals for Liverpool in 1946-1960 and 1987-1997 so this was a historic meeting of two giants in the history of the club! former Liverpool striker and Graeme Souness' assistant at the time.